Two areas in southeast Texas got more than five feet of rain. 18 areas got more than four feet of rain. The Houston Metro area got between three and four feet of rain. Of the 68 people who died, 36 were in Harris County. All but three died from freshwater flooding. Maximum winds on landfall were 133 mph (213 kph); a Category 4 storm. It’s a once in a lifetime event for so many people. I think the flooding in the Houston metropolitan area is really unparalleled. 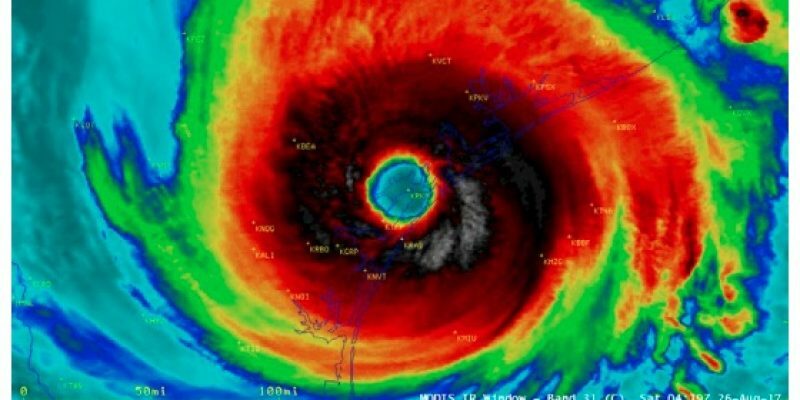 It is unlikely that the United States has ever seen such a sizable area of excessive tropical cyclone rainfall totals as it did from Harvey. By comparison, the record for rainfall caused by a hurricane or tropical storm in America is 48 inches (1978) and 52 inches (1950). But in 2017, Hurricane Harvey dumped more than 60.5 inches in two areas of Texas: Nederland and Groves. That’s roughly one foot more than the record amount of rain. Seven other areas in Texas beat the 52-inch record; 18 locations beat the 48-inch record. That’s more than 5, 4.3, and 4 feet in 27 areas in Texas alone. For those who cannot comprehend what it is like to live through a 1,000 year flood event, imagine pouring rain with lightening and thunder for 100 hours straight. Imagine rain pelting windows and darkness so thick that throughout the day it is impossible to see clearly. Imagine not being able to drive or go to any store or pharmacy because roads are shut down. Imagine having no power, electricity or running water for several days. Worse still, imagine fleeing your home with the clothes on your back and never seeing your possessions again. Some people lost pets. Some people lost loved ones. Thousands lost their homes– and still have nowhere to live. No pictures or data can adequately describe the devastation left by Hurricane Harvey.